Eddy Merckx Professional 1980 1st Ed. The holy grail of Eddy Merckx brand bicycles: Merckx signature seat-stay caps, rare early type lugs and seat cluster, ‘Eddy Merckx’ stamped BB shell and original paint with pantographed parts! 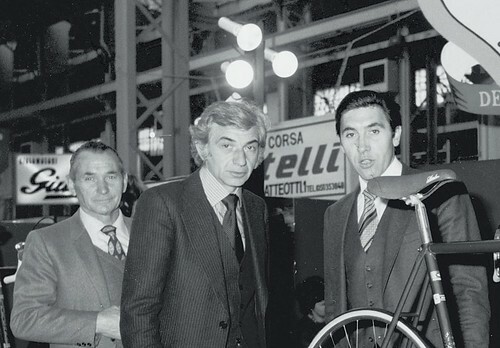 As with most things in his professional life, Merckx was never content to sit back and follow the leaders. Rather than lending his name to another builder’s work he decided to make his own brand of professional racing bicycle. 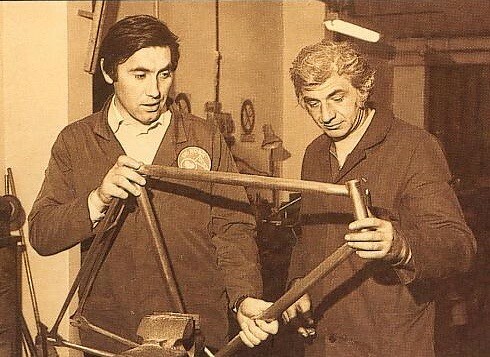 In the 3 years that followed his retirement from professional racing, Merckx used his time to renovate a small farmhouse in Meise Belgium and tool it for bicycle frame production. With the help of his mentor and friend Ugo De Rosa he assembled and trained a team of builders and prototyped his first frames. These initial frames are of varying in quality and design as the materials, details and process were refined. 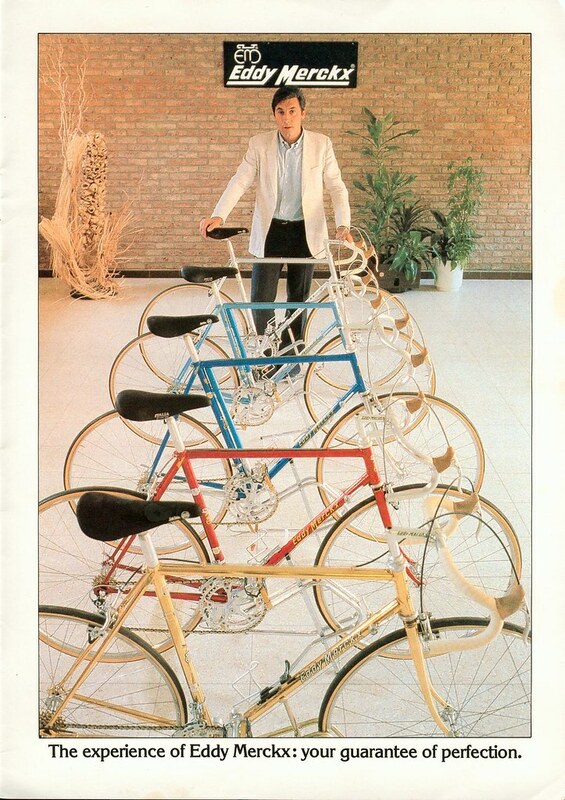 In March of 1980, the Eddy Merckx Cycles Factory began it’s first production run of frames. They were offered to the european public as full builds. 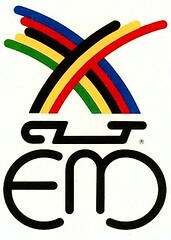 By mid 1981 Merckx frames were available in the north american market. In a matter of 1-2 years many of the details on these early frames disappeared. 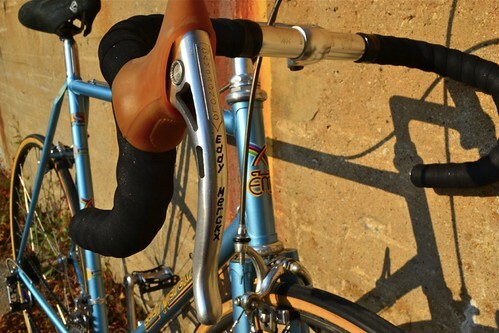 First to go were the BB shells and the seat lug, followed by the head lugs and the signature seat-stay caps and finally the ‘Eddy Merckx’ script on the fork crown. Some of these details overlapped with one another in various combinations until the builders ran out of stock and they were replaced with later versions. Besides the great history it’s a smooth riding and well balanced build. 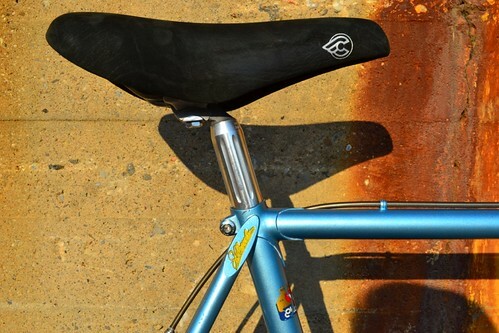 I’m about to replace the saddle with a more appropriate Selle Italia RS model, just like the early factory builds. Also of note, this particular frame was built using Columbus tubing and has a tattered french language Columbus decal on the seat tube. If anyone has a replacement french decal please let me know. 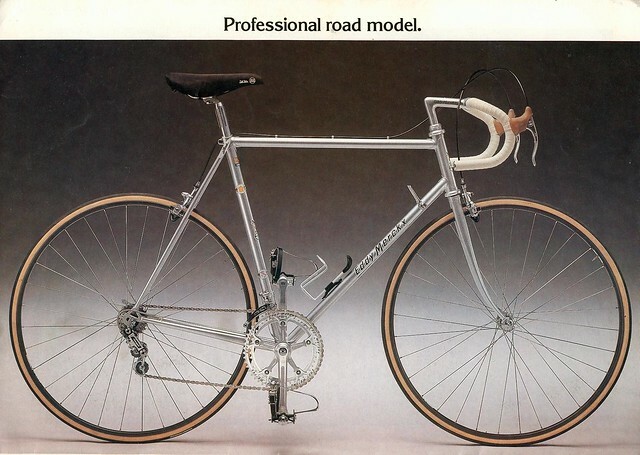 This entry was posted in Builds, Frame Builders and tagged 1980, Eddy Merckx, Professional, Road. Bookmark the permalink. 11 Responses to Eddy Merckx Professional 1980 1st Ed. Would this mean this is the nineth frame produced? 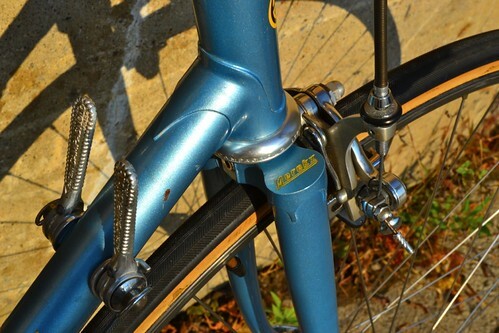 It is totally this frame, with pantographed seat caps, and campagnolo drop outs. It looks like a derosa build. Any idea what the b stands for? E009 would indicate the 9th frame of the first production run. How many frames came before that is anybody’s guess and the numbering did not seem to be sequential before E001 from what I’ve seen. B2 would seem to indicate 52cm, professional series. I suppose it could also be 62cm. It’s not clear what the letter before the frame size means. Possibly angles or the tubing? Let me know if you find out. If you have more info on all of this: always very welcome. Ine thank you for sharing! No matter haw we try to organize and categorize these frames into a clean chronological order there are many examples that just don’t fit! Most likely the different versions of the parts parts existed simultaneously in the early 80’s. They were probably stored together and the builders grabbed what was at hand as they worked. The signature seat-stay caps, the dropped ear seat lug, and the “Eddy Merckx” fork crown and BB shell are all part of an early batch of parts that ran out over the first few years of production. Thanks for your note. From your description and from the serial number it does not sound like a 1984 model even though you purchased it in 1984. 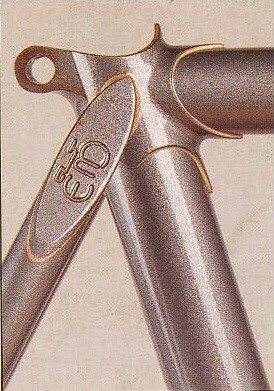 The details you describe are only found on the first production batch of frames to leave the EM factory in 1980-81. 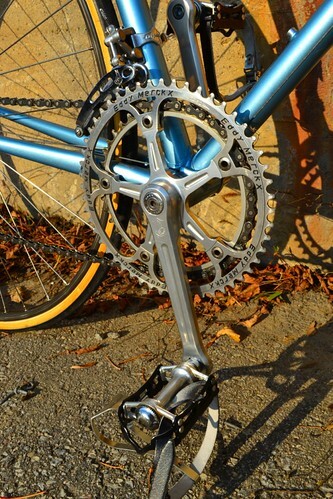 Over the bottom bracket derailleur cable guides, long point lugs and Campagnolo ‘Porta Catena’ drop outs would also support this notion so there is a strong possibility your frame was constructed a few years before you bought it. I hope you’re still riding it! 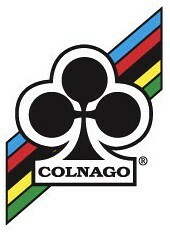 I think I own a model like this one with campagnolo Nuovo Record. 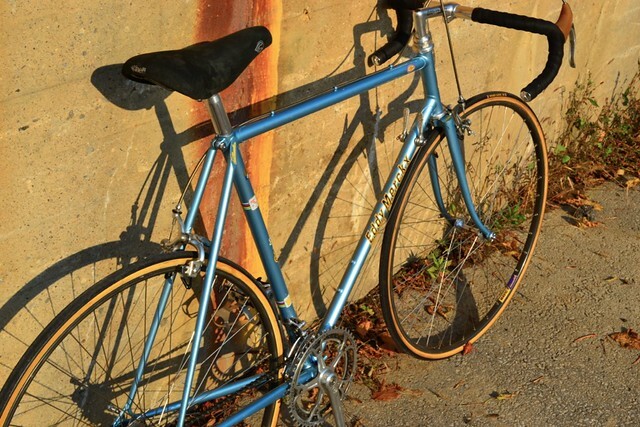 I have a Eddy Merckx Professional almost identical to this one. Same BB however the numbers are different. On the left side is only a 9 and on the right is V above a 308. 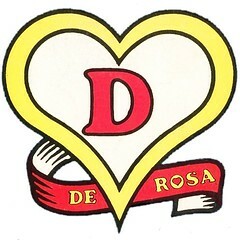 I have never been able to find another with a V, however the original owner via the name on the top bar is H. VRANKEN. So maybe Eddy in his very early days started the numbering via the order name. 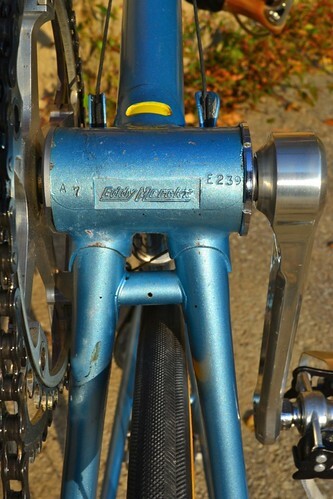 I have an Eddy Merckx Professional just like you. But on mine BB is just a 7. That’s the size and means 59CT. These frames without serial numbers are made in the first days of the factory by Ugo Derosa. 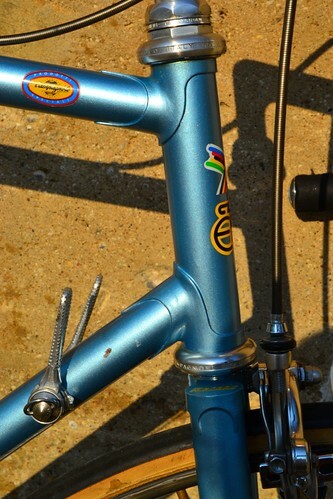 I’ve recently purchased a Merckx 1985 team Hitachi professional frame with no tubing decals on it. The serial number is AZ7954. Any thoughts on how to determine the tube set? Beautiful bike! I own frame E252, which has many of the same details as your frame. 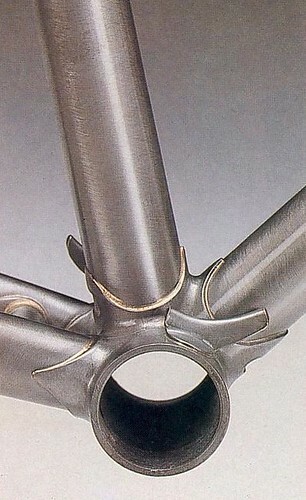 The Merckx signature BB shell was gone by the time my frame was made, but otherwise I have the remaining early details. Thanks for creating this page.